Connie (more affectionately known as Granny) and her husband John (Pappy) live in Townsend, DE, and attend the Townsend Free Will Baptist Church. 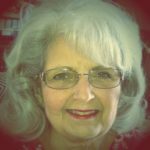 Connie has been involved in many ministries over the years including being a member of Bethel United Methodist Church, serving on the worship team and praise band there. She was also a founding member of the Crossroads Mission Center-King William, serving on the leadership team and as treasurer. Serving HOPE3 Ministries is one of the joys in Connies life and HOPE3 remains an important ministry in which God has called her to participate. She has served as treasurer, Weekend team member and Weekend Guide and she currently serves as the Ministry’s financial accountant. Pappy and Granny enjoy camping and spending time with their children and three granddaughters.